Source – The four teams that will play for the right to head to the Super Bowl were set last weekend. Now the two referees that will legislate the two conference championship games this weekend are also in place. According to Mike Pereira of FOX Sports, Gene Steratore and Tony Corrente will be the head officials for the AFC and NFC Championship games on Sunday. 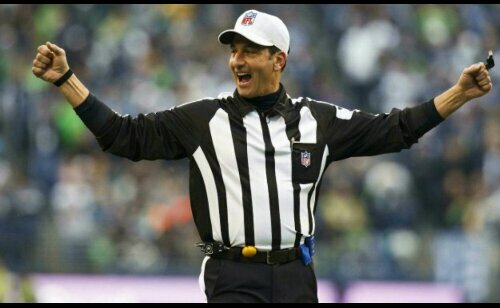 Steratore will man the NFC game between the San Francisco 49ers and Seattle Seahawks. Corrente will get the AFC battle between the New England Patriots and Denver Broncos. Steratore has not yet been assigned to work a Super Bowl in his time as a referee. Corrente was the head referee for Super Bowl XLI between the Indianapolis Colts and Chicago Bears. Corrente also worked the 2009 AFC Championship game between the New York Jets and Indianapolis Colts and the 2000 NFC Championship between the Minnesota Vikings and New York Giants. Do we even need to play the game anymore? Seattle and their cheating leader Pete Carrol should just stay in the locker room Sunday night, because if this isn’t a sign from the heavens I don’t know what is. 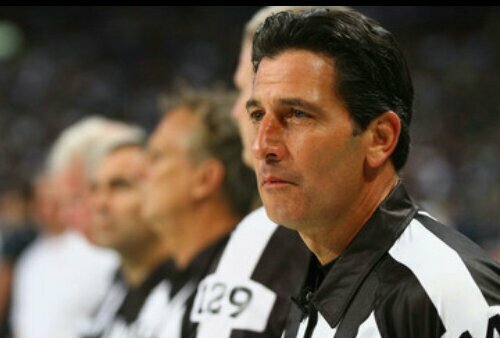 The best and my favorite referee, Gene Steratore, will be the head official in Seattle Sunday night. Most nonchalant ref in the business today. Gorgeous head of hair. You really couldn’t ask for a better start to an NFC title game with your hated rival. Posted on January 16, 2014, in Average Blog Posts and tagged 49ers, Game, Gene, head, NFC, NFL, official, seahawks, Steratore. Bookmark the permalink. 1 Comment. mean is under ideal conditions using GMRS which has lot more power at 5 watts.